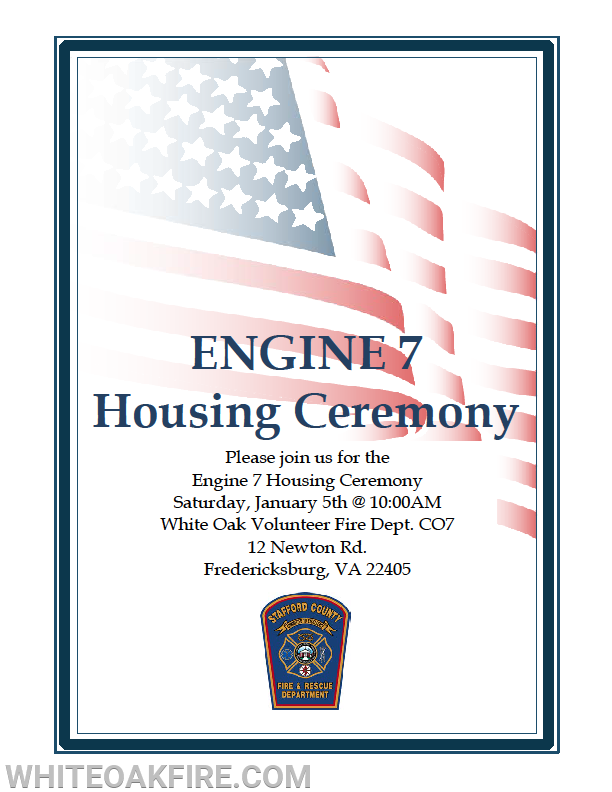 The Department will be holding a Housing Ceremony for New Engine-7. 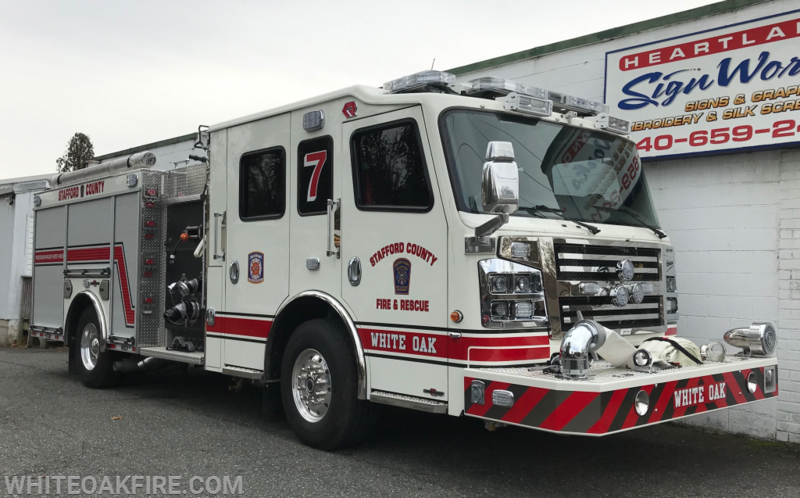 The County purchased a 2018 Rosenbauer pumper to replace our 1988 Pierce Lance. All are encouraged to attend on Saturday, 5 January 2019 at 10:00 am.